With the IPL season on and seeing us talk about chennai super kings the little one wants to know why there is no kovai super kings…haha Though I dont watch it regularly get to hear that CSK rocks and am sure will rock on! 1.First grind the ingredients listed under ‘to grind’ with little water to a fine paste. Set aside. 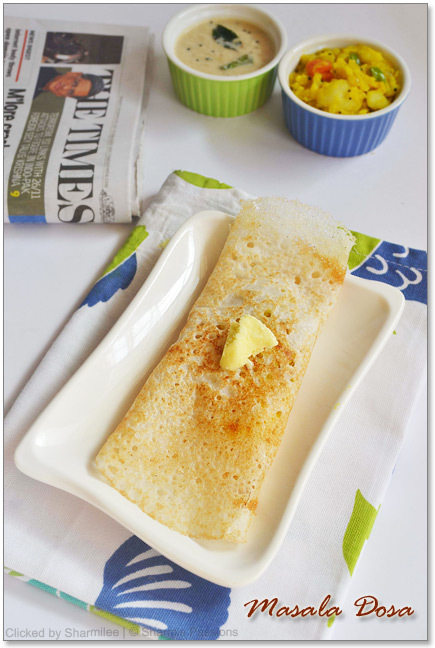 In a pressure cooker heat oil+ghee add the items under ‘to temper’ with ginger garlic paste. 2.Add onion and saute till slightly browned. Then add the masala paste and saute till raw smell leaves and it turns color as shown below.Soak basmati rice in water for 30mins set aside. 3.Then add corn, peas saute till the masala is well blended with the veggies.Add required salt, I used rock salt. Drain water from rice and add it. 4.Give a stir and add water. Close and pressure cook for 3 whistles in medium flame. Once pressure releases fluff the rice with fork, take care not to break the rice. 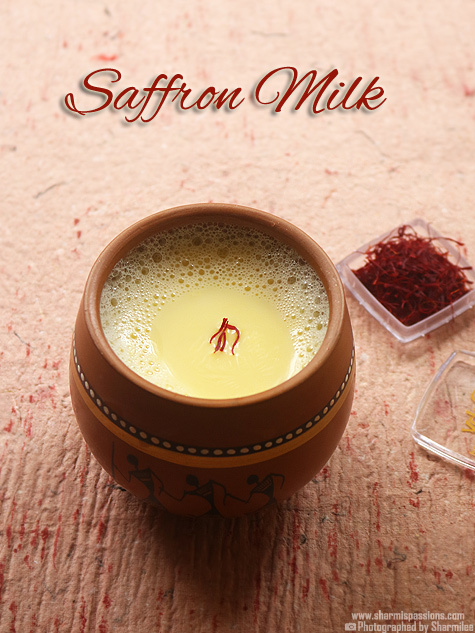 Serve hot with curd or onion raita. This is a spicy pulao so curd is the best combo which I love the most. As we are adding ginger and garlic in the masala paste itself, adding ginger garlic paste is optional while tempering. I always use rice : water ratio as 1: 1.5 cups – This suits well as the rice is presoaked and gives a grain seperated rice. Lovely combo of corn and peas! Yummy and amazing combination. Nice presentation too. Ah!! Lovely. Sure to try this soon. I have been following this blog for some time now. Yours has been one of the inspiration to start my own food blog and i have done that. :). Love all your clicks too. 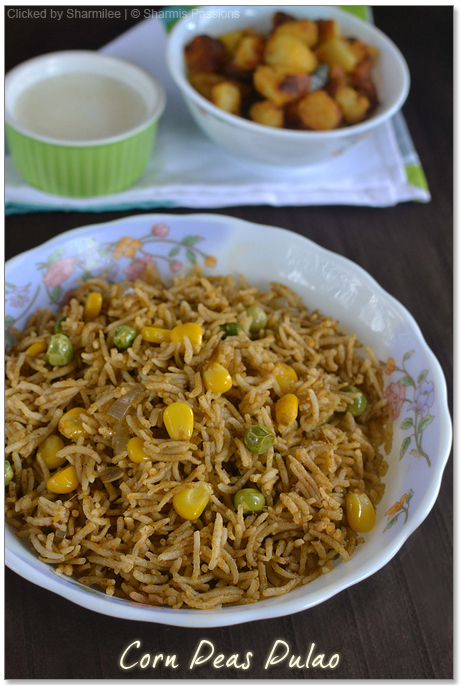 DElicious pulao.. perfect one pot meal to serve while watching a tv show. 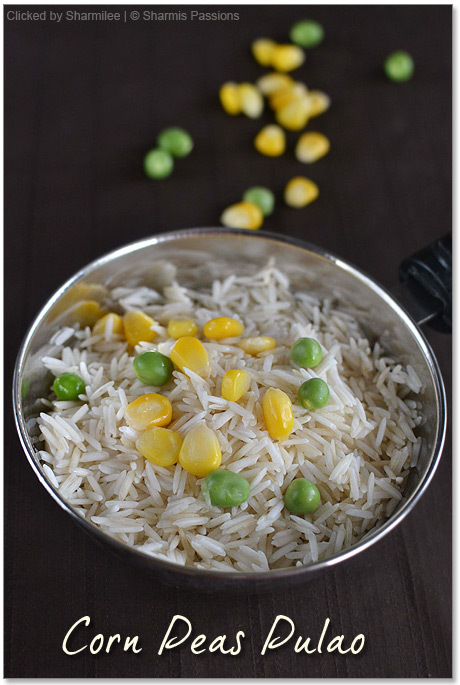 The rice looks so well cooked and delicious Sharmi. Tell your son that maybe he can have a team in cbe when he grows up, I would go crazy if we did have one. 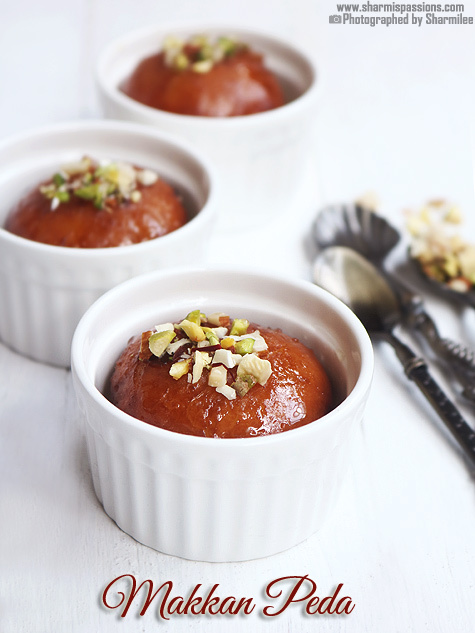 looking so tempting sharmi…very beautifully executed and i am going to try this tomorrow.one thing sharmi,when i cook with basmati rice,the rice doesnt come seperated for me,i am using the same ratio (1:1.5)but geeting like this,any suggestions please.thanks. Wow 🙂 Mitu likes cricket!!! Cheers to her. 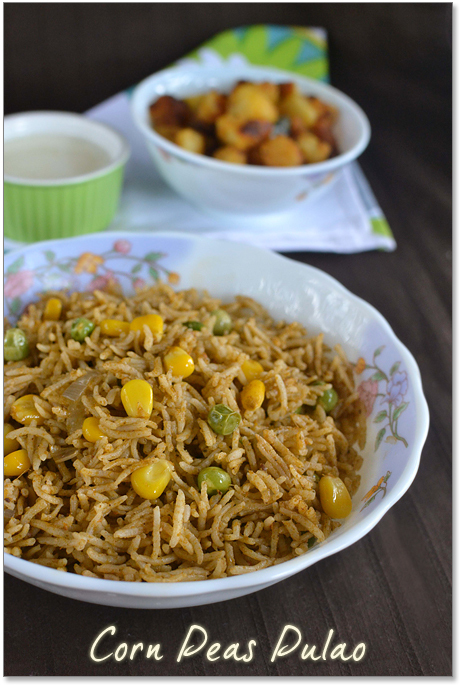 Super flavourful one pot meal,my kind of food..
That is a quick and healthy pulao! 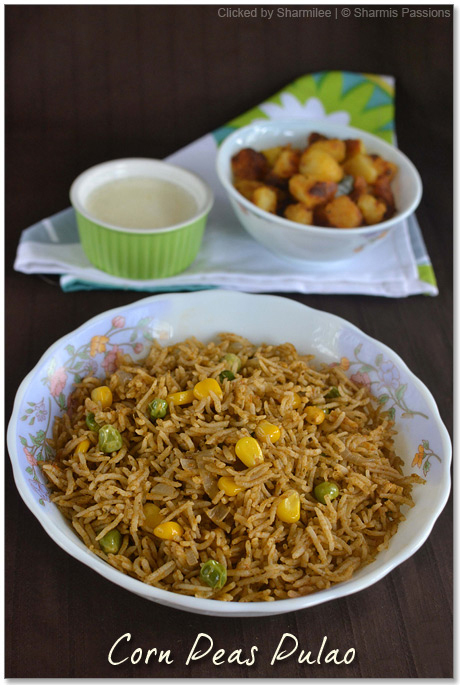 I love this combo..the pulav looks perfectly cooked..
Lovely recipe with cool pics as usual ..
What a Pulao.. Glad to follow you..
Do visit my blog at your spare time. 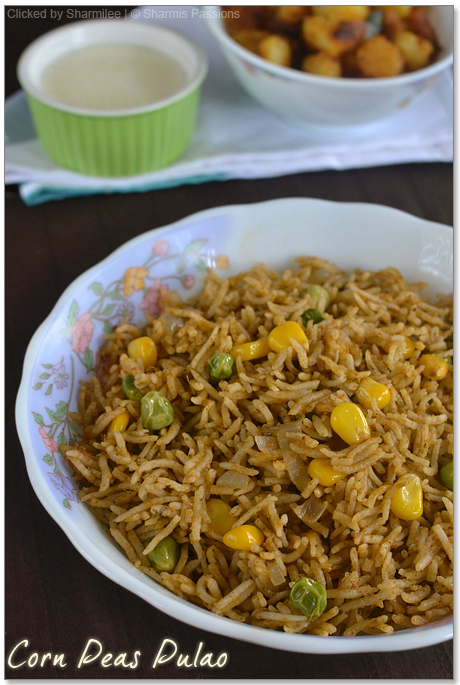 i have bookmarked the pulao recipe to be made soon. i tried and came out really good…thank you..!!! 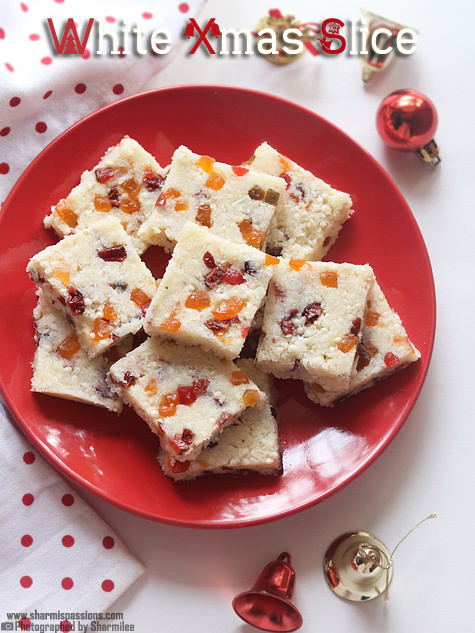 i tried this recipe as well a few weeks ago and it turned out really good… 🙂 thank you!!! i have always wanted to cook with corn! 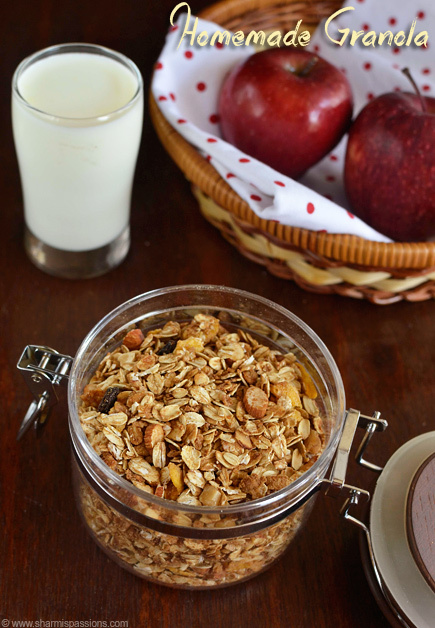 newly married n struggling to pack lunch for hub on time is daunting, this recipe was quick with some easy preparation and few ingredients i did it! i impressed hubby a lot! thanks a ton Ms.Sharmi!! Very delicious and SPIIICCY TOOO.? Very delicious and spicy too.? Very nice, I liked it a lot.. 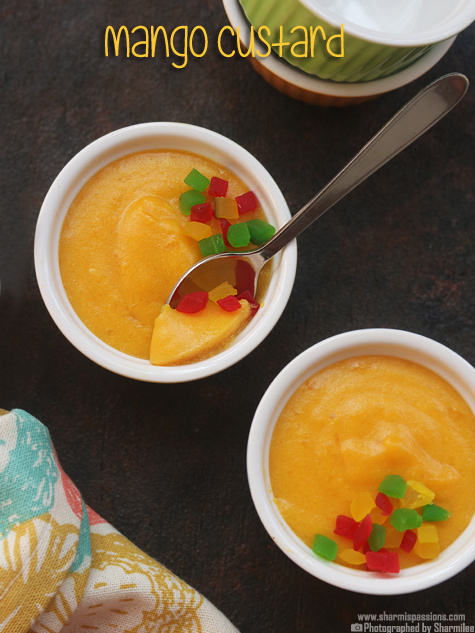 Tried this recipe today and it worked out great!! Thanks!